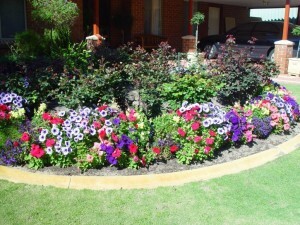 Welcome to Blissful Gardens Landscaping Blog! Once upon a time, not so very long ago, the reddish orange of creosote was the brightest thing in many a UK garden- especially during the winter months. Not only is this coal tar based preservative a garish colour, it can be harmful to pets, your family and the environment too- just one of the reasons so many creative homeowners are looking for another way to protect and colour the wood in their gardens. Over the past few years, wood paint has become a really popular part of exterior design, but many people are still a little scared about how to approach it. As with any change of décor, it’s always a good idea to seek a little inspiration first. Spend time at horticulture shows and open garden events, do some online research and create a mood board to identify the colours you really love. If you’re looking for a really coordinated look, use shades from your interiors to create a sense of space and unity, accessorising with cushions and throws in the same materials if possible. If you’re concerned about the environment there are plenty of eco-friendly paints out there these days. A quick Google search will point you in the right direction, and you’ll recognise some familiar names in there including Farrow and Ball and Cuprinol as well as some exciting new brands. LED lighting can add a completely new dimension to a room and their colour choice (amongst many energy saving qualities) is one of the reasons why so many people are having them installed into their home. But what about an outdoor space? Can this also be transformed by the power of LED’s? 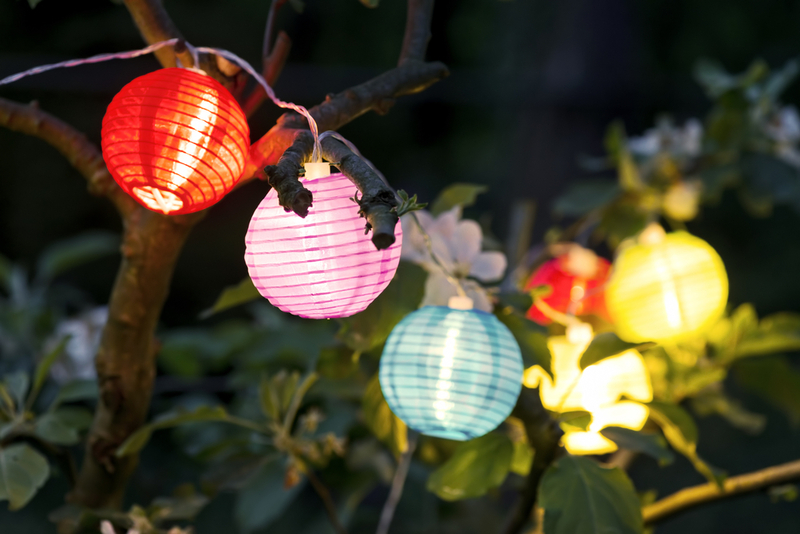 As we approach the spring/summer period and people start using their gardens again as a space of relaxation or even as a space of entertainment, the demand for lighting for outdoor areas increases. Whether you have spent time and money totally transforming your garden and want the right lighting to show it off, or need your garden to look a little more impressive for the summer months, with the right LED lighting you can create a totally new space, whilst using a low-energy, cost-effective solution at the same time. You don’t need to have a gigantic space to really make something of it when it comes to your garden. There is decoration and decking to suit all spaces big or small, and the case is the same when it comes to lighting. The beauty of LED is that it offers so many different colour options, and choosing a bulb to suit your space is paramount. For example, if you have a small garden but want to entertain guests without it feeling claustrophobic, you can opt for a cool, white light that will allow the garden to feel bright and airy. Another thing you don’t want in a small space, is an intrusive light fixture that will take up even more space. 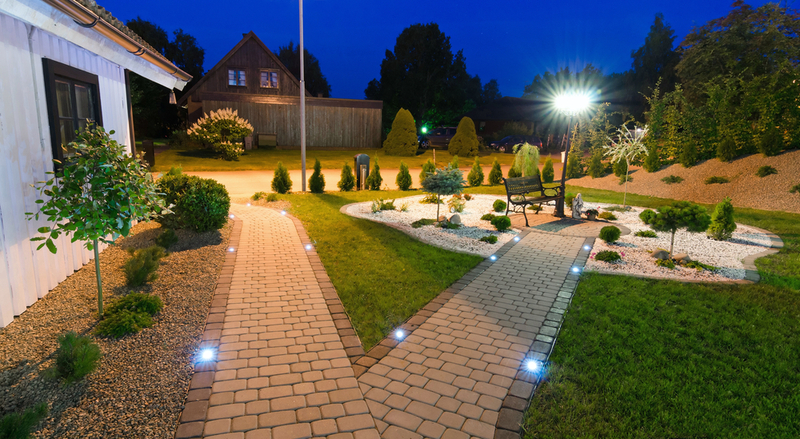 There are some great LED choices that will add dimension to your garden without being intrusive at all. If you have decking in your garden, why not go for an LED decking light? Most of these are recessed so will slot right into the decking and will not rise from the surface. These subtle fixtures will not take up any extra room but will really change the way that your garden appears. Spotlights can also be great mood enhancers if you have designed your garden specifically for relaxation purposes. If you have a bigger space that you need to brighten, you might want to go for something that is a little more decorative. There are some great LED light designs to choose from, and all are great for contemporary garden designs. garden wall lights and lanterns are a handy addition both to the driveway and back garden as they operate by a sensor and so will only be on when you walk in front of them. This not only saves a great amount of energy but can also act as security for your home as they will light up a dark driveway or patio whenever someone walks through it. If you want the lighting to be focussed, spotlight style, on the floor of your garden, bringing character and as well as warmth and brightness then you can look at LED garden spike lights. Possibly the easiest installation, the spikes will stick safely into your grass or stones. Another great thing about using LED lights is that they are totally safe and withstand the horrible windy and rainy British weather! You can relax knowing that you have reliable outdoor lighting – no matter what the weather brings. If you love to celebrate all things Christmas and get into the spirit by lighting up the outside of your home in all sorts of different colours – LED lights are also great for doing this as constantly lit incandescent bulbs can not only be costly but will also burn out pretty quickly! Whatever the purpose for your outdoor lighting – LED lights are always a cost-effective low energy solution, and with their different designs, styles and colours, the possibilities really are endless! 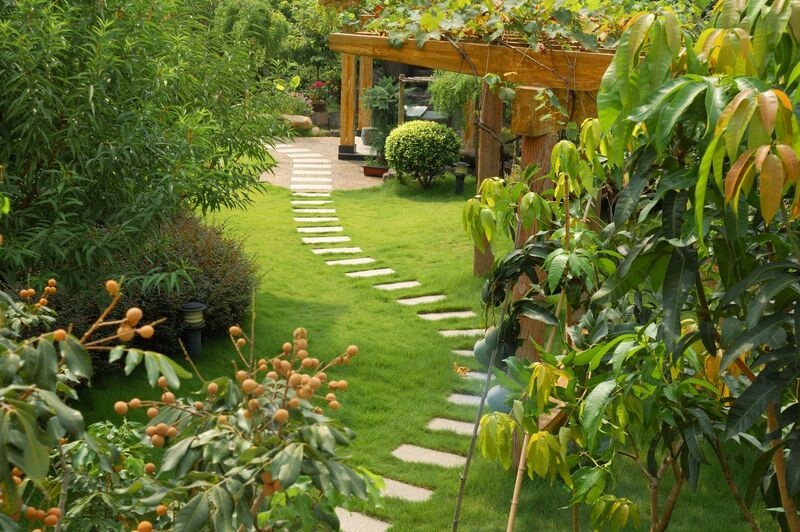 When creating a beautiful garden, it is all too possible to overlook the driveway – after all, they are a functional and often drab necessity, and are viewed as nothing more than that by most people. However, the fact remains that a beautiful driveway can absolutely transform a house – they’re just as important as the rest, and with their own sets of challenges and rewards, driveway projects can be incredibly satisfying. One of the main attractions to these projects is that the driveway is usually the first thing a visitor to your property sees, and is usually a strong centerpiece to the front garden. However, it can’t simply be made into a purely artistic thing: it has to be durable enough to survive having cars driving on it every day. Its width and shape dictate the accessibility of your home, and the material chosen must be able to withstand tiremarks, oil and deicing fluid. A unique balance of style and function has to be found, resulting in some ingenius and creative ways to use this available space. Beautiful alternative paving materials such as patterned paving stones, either of naturally patterned stone like granite or slate, or of mosaic-style ceramic bricks are often used to complement the rest of the garden and the architectural style of the house, and are sometimes combined, as in the image above to create some really beautiful driveways. Alternately, if you have the space or don’t want to spend the (sometimes huge) amounts needed for alternative materials, the rest of your garden can be made to work around the driveway to create a gorgeous entrance to your property. 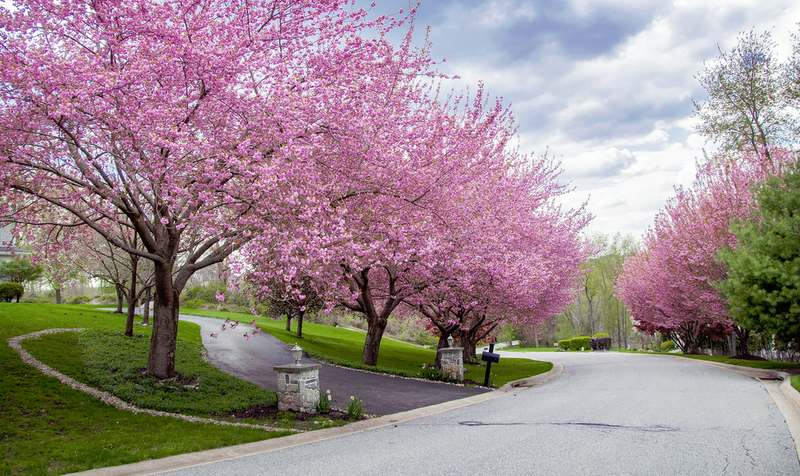 In the above photo, cherry blossom trees were planted on either side of the driveway, and in bloom they frame it and draw the eye. The end result is stunning. Whatever you do, remember that it has to fit the feel of the rest of the property! If it really stands out against the house or the rest of the garden it may be a little too incongruous and fail to look good. Coordinating colours, designs and shapes will help keep everything in line – and if at a loss, keep it simple! An understated and elegant driveway will allow visitors to really take in the rest of the property, after all. That said, don’t be afraid to get creative with materials, designs and integration of plants and features: often the most artistic solutions, like the two above, are those that were the most daring and creative. 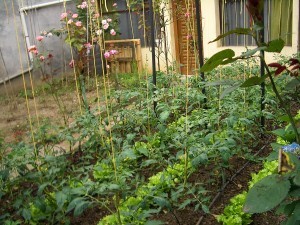 What’s the point in having a beautiful garden at your home if it can’t be enjoyed by those living there? The perfect garden means nothing unless you use it, making the most of this space for relaxing, socialising and barbecuing when the weather is nice. 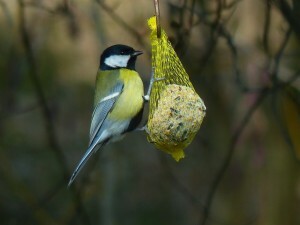 But it’s not just you who should enjoy the garden. You may have pets at home that want to explore or play in it, especially now that the rain is becoming less frequent and the sun is coming out. 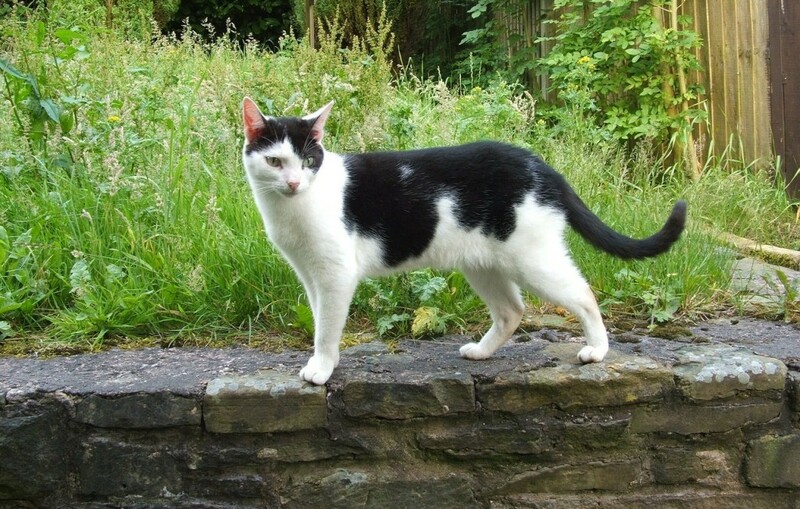 However, many of us may have plants in our garden that are hazardous to cats, dogs and other types of animal. Plant poisoning is, in fact, more common than we would like to believe. Vets often cite this as one of the main reasons they have to treat animals for illnesses after consuming human food or medicine. 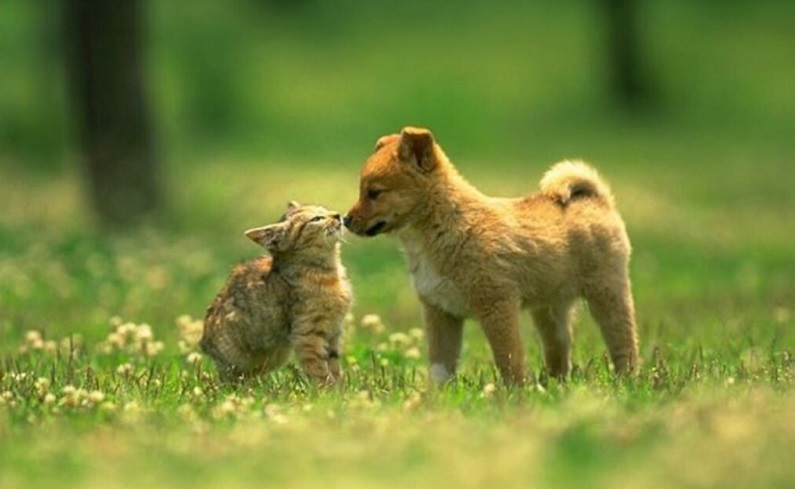 It is essential that, if you have pets at home, you know what kinds of plants may cause harm to them. Azaleas and sagos, for instance, can be toxic. The way you feed the plants can also be harmful to your pets. Small amounts of fertilizer should not be harmful, but if an animal ends up ingesting it in a big way then it can cause stomach pain. This may even become worse and turn into a serious, life-threatening gastrointestinal issue. If you need to use fertiliser, look at the warnings on the product and see what period of time should be left between using it and allowing your pet to roam outside. The same thing goes for fertilisers, sprays and insecticides. This one might sound like common sense, and hopefully if you are a pet owner it is, but it bears repeating: be careful with your garden tools if you are letting your pets run around the lawn. If you leave them out in places where the animals can reach, items like rakes, trowels and hoes could cause harm. Now the cold of the winter is coming on strong, all ideas of going outside to enjoy your garden are probably getting less and less. Full blown landscaping ideas are probably a distant memory, but a little time spent now will make your garden easier to manage next year, and will help the garden to look good all through the winter. The work that you do now, will mean that you will not have to do almost any work when the weather is really cold. Keep your grass clear. Remove all of the kids toys and put them in their playhouse. It is also a good idea to move the slides and swings if you can. In November, its a little late to start growing grass, if you have any bare areas, wait until March to add seed. The weeks are probably not growing much at the moment, so this is a good idea to remove them from the borders while they are small. It means that they will not come back strong next year. Now that most of the leaves have fallen, its a good idea to remove them from your lawn. You can leave them in your borders if you don’t mind the clutter, but at this point most people will put them in the compost heap. Most people have garden makeovers in the summer months, but there are benefits to having work done in the winter. Companies will not be as busy in the winter, so it will be much easier to find someone to do the work. Its also time to get a bargain, if the gardener isn’t as busy they will be more receptive to haggling. Removing weeds from between your paving is a good idea. This will ensure that your paving will look good for the rest of the year. So if you want a good looking garden next year, now is a good time to spend just a few hours of your time. As the summer months come to a close and winter is drawing ever nearer, it can be a strange time of year for your garden. During the month of September, there are some very simple tips you can follow to help prepare you garden for the harsher weather. If you have any tender perennials, fuchsia or geraniums for example, you should bring them inside before the frosts start. If you have somewhere frost free to keep them, great, if not, take cuttings. This month, you need to mow your lawn less often. When you do get your lawnmower out, make sure you raise the height of it. 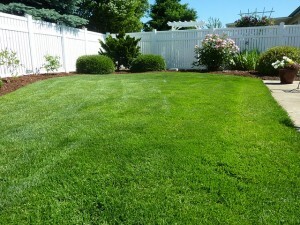 This is a good time of year to sow or turf yourself a new lawn. If your not sure how to go about it, it might be something best left to a professional landscaping company that offer an impressive service. If your feeling up to some hard work, you can scarify your lawn. This is when you rake out all the thatch and debris with a long tined rake and then you can aerate it, which is when you make holes all over your lawn with a fork. It will make your lawn look much better and prevent issues such as moss and water logging in the winter months. Make sure you lift all your root vegetables and store them in a cool dry place. If you have any parsnips, these should be left in the ground, as they taste better after being frosted. You should make or buy a hedgehog hibernation box to encourage our spiked friends into your garden. Place it under a pile of dead leaves at the back of the garden where it is unlikely to be disturbed. We are Blissful Gardens! Hopefully soon to be an all encompassing blog to discuss gardening and landscaping ideas, tips and issues from around the web. We hope to have an eclectic mixture of content on here in the coming months, so stay tuned as we continue to iron out the kinks on the website and begin populating the website over the next couple of months!